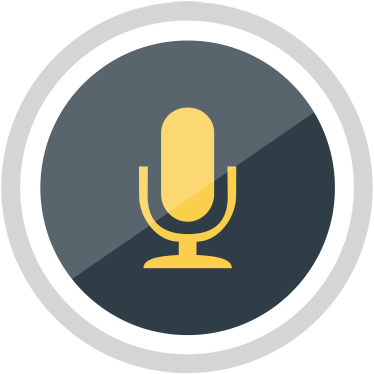 Summary: Adobe Voice is a great way to create stunning presentations in minutes! You can pick from thousands of beautiful iconic images to better express your story! You can add soundtracks to your video, search for images in the app but from the web, or by using images created by Adobe Voice. You can record your voice by tapping a red mic at the bottom of the screen, create a custom look, and backgrounds! Then, when you are done, go on ahead and share it, with the simple click of a button. This stunning app can be used to persuade, inform, inspire, and teach anyone, anywhere, at any time. Classroom Uses: Great for presenting class projects, vocabulary, foreign language use, and much more. This amazing app can really be used for any project assigned, in any subject, or even just for fun! Considerations: Once a project is completed the student can share with his/her teacher, fellow classmates, family, and friends. This can be done through via email, Facebook, Twitter, or through messaging. In addition to those a link is provided to be shared so other people with the link can watch the video. You are given a public/private option to allow who can and cannot see your video.